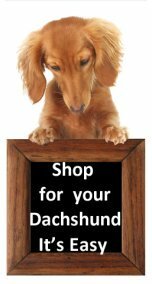 Many owners like myself like to use healthy dog treats for their dachshunds and there are a large range of commercial nutritious tasty treats now to choose from, see our recommended selection. If you have the time and inclination you could make your own doggie treats if you like. To be used in toys to help stop your dog getting bored when left alone. I think the best way to give treats is when you dog is sitting calmly looking at you in anticipation. Between meals I feel is the ideal time to use treats then your dog really appreciates an extra titbit and it is probably more the time you would be training. When training your dachshund food rewards are a great incentive your dachshund stays alert and attentive when you are able to offer small snacks. 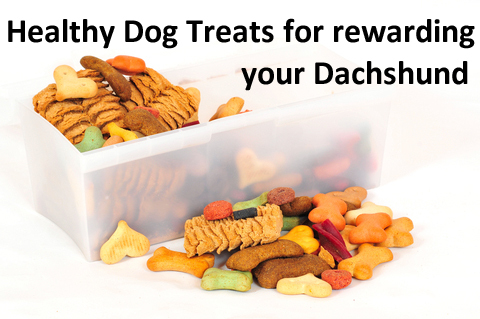 Ensure the treat is something your doxie really loves but of course the treats my dog loves may be different to what your dog loves. My little girl loves them all, typical dachshund so I have no trouble giving her a variety. The ingredients used in healthy treats should have no artificial preservatives or colors and be free of soy, corn or wheat products. A wide range of healthy ingredients include – salmon, chicken, liver, yams, sweet potato, pumpkin, carrot, tripe, beef etc. The sweet potato is presented as a chewy vegetable and is a good alternative to rawhide. 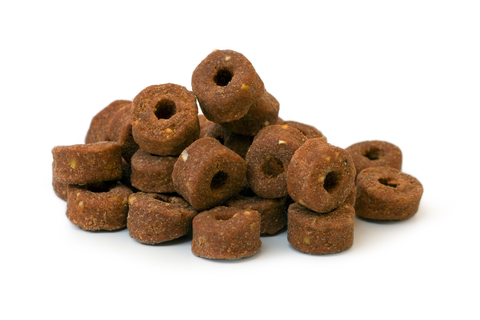 Healthy dog treats usually come in a variety of shapes – round, square, bone shaped and are either soft or crunchy. Some snacks are especially designed to keep your dog’s mouth healthy helping to control tarter and keep breath fresh. If the consistency is moist then this is easy for the dog to eat quickly but crunchy or chewy may take a while for your little dashie to enjoy so will not be used for a quick titbit. When training some owners just carry their dog treats in their pocket or other's prefer a treat carry bag again it may make a difference if the treats are moist or dry. Toys filled with treats can be used to keep your dog busy and stimulate his brain when left home alone. The size hole in the toy will determine what treats you buy, small treats will make it easy for your dog to get the treats out by putting in larger treats it makes it more difficult. We all should be aware as owners that most dachshunds love food so it is important as owners to ensure any healthy dog treats used are not going to contribute to your little friend becoming overweight. So we need to remember if you use treats often to take this into account when serving your dog’s meals.